Born Brian Cecil Mitchell on August 30, 1961 in Johannesburg, South Africa. 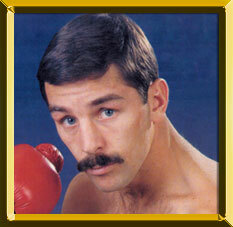 Mitchell turned pro in 1981 in his hometown and two years later won the South African junior lightweight title via 9th round TKO. He defended his title eight times before challenging for the WBA junior lightweight title on September 27, 1986. Mitchell defeated Alfredo Layne by 10th round TKO to win the crown in Sun City, South Africa and an impressive string of 12 successful defenses followed. Due to South Africa's policy of apartheid, Mitchell became a road warrior, defending his title across the globe (Puerto Rico, Panama, France, Italy, Spain, UK, and the United States). On March 15, 1991 he drew with Tony “The Tiger” Lopez in Lopez' hometown of Sacramento, CA in a WBA / IBF junior lightweight unification contest. Stripped of his WBA title for agreeing to a rematch six months later, he scored a 12-round win over Lopez for the IBF strap. Mitchell retired following the win, but came out of retirement for two winning bouts in 1994 and 1995 in his native South Africa. Credited for his poise and stamina in the ring, Mitchell ultimately retired with a 45-1-3 (21 KOs) professional record. Following his years in the ring, Mitchell owned a boxing gymnasium where he managed, promoted and trained such fighters as WBO light middleweight champion Harry Simon and Cassius Baloyi.